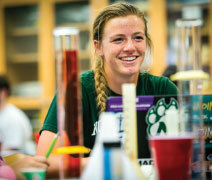 Since 1905, Northwest Missouri State University has been offering quality education at a low cost. 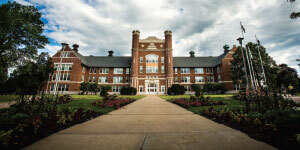 Northwest Missouri State University is located in Maryville, Missouri, a rural community of 12,000. Maryville is listed among the “Top 30 Safest Towns in the United States” and is located about 90 minutes from Kansas City and Omaha. The Maryville area offers many opportunities for outdoor recreation, and BestCollegesOnline.org has named the Northwest campus one of the “50 Most Amazing University Botanical Gardens and Arboretums in the US. 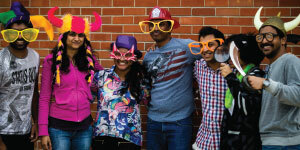 International Student Services: Located in the library, the International Involvement Center offers a variety of services to students, including CPT/OPT assistance, airport pickups, orientation, programming, a coffee hour, Friends of International Students program, tax assistance, and advising for several international student organizations. Other scores: We also accept iTEP, CAE, PTE, EIKEN, TOEIC, and IGCSE English First Language. Located in Maryville, Missouri, we are a public university with about 7,000 students and over 500 international students from about 35 countries. The first laptop campus in the United States, Northwest provides laptops to all students as part of their fees, and textbooks are included for all undergraduates. With over 125 bachelor’s and 40 master’s programs, Northwest offers degree programs in many disciplines. All classes are taught by professors, with an average class size of 26 students. Students have many opportunities for directed research as well as activities beyond the classroom to apply what they’ve learned. Our award-winning faculty (STEMMY award, Fulbrights, and the Missouri Teaching Excellence award, to name a few) are student focused and willing to help and work with students inside and outside the classroom. All this translates into being career ready when you graduate! Northwest has scholarships for all undergraduate and graduate students. Our Northwest International Achievement Scholarship gives undergraduate and transfer students in-state tuition, a savings of $6,200 per year. And our merit awards range from $1,000–$4,000. Graduate students receive a $1,000 first-term award and are eligible to receive in-state tuition by maintaining a 3.30 GPA. The full master’s program may cost as little as $27,190 for all four terms, inclusive of everything except textbooks. Before scholarships, a full year at Northwest for undergraduates—inclusive of all expenses—is $25,803. That includes tuition, housing, meals, laptop, textbooks, campus activities, fitness center, Wi-Fi, academic support, orientation, airport pickup, and insurance. With scholarships, you may pay as little as $15,600 per year! Northwest Missouri State has ranked among the top 30 safest universities in the United States for the last three years. U.S. News & World Report ranks Northwest the #1 “Moderately Selective Public University in Missouri,” and #21 in the Midwestern region. In 2017, Zippia.com listed Northwest Missouri State as the “Best University in Missouri” for getting a job, rating the University higher than the top schools in California, Florida, Washington, and Arizona. Northwest boasts a job placement rate of 97% for undergraduates and 99% for graduate students, and students may receive career counseling and assistance from our Career Services office. Maryville is a small rural community of 12,000 in the Midwest. People here are friendly, welcoming, and eager to help. While Kansas City is about 90 minutes away, Northwest hosts many big-city events—lectures, concerts, plays, sporting events, movies—on campus, all free to students. And we have over 150 student organizations to get involved in outside the classroom. Quality academics, personal attention inside and outside the classroom, generous scholarships, and a safe, nurturing environment—all this adds up to the Northwest difference!